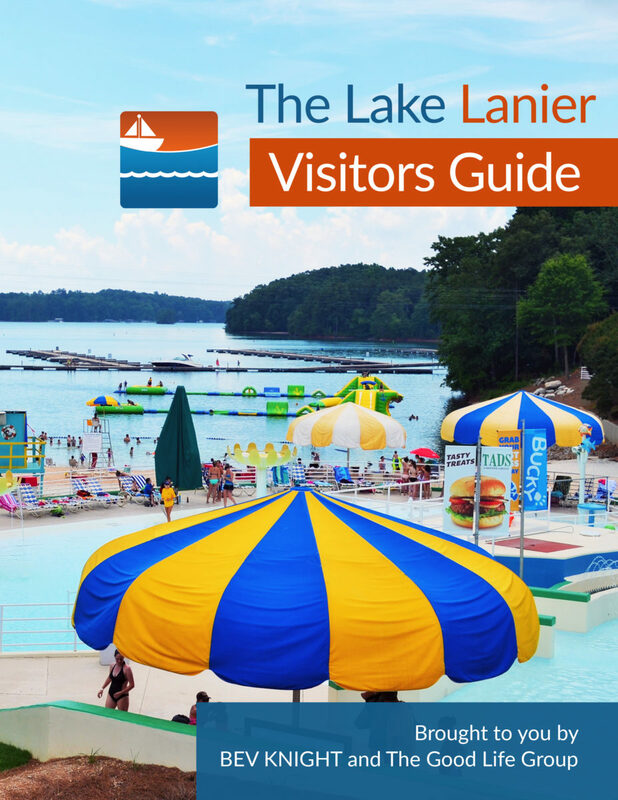 You can’t have much fun on Lake Lanier, if you can’t get to Lake Lanier because of snarled traffic on Dawsonville Highway, GA Route 53, west of Gainesville. Now that the new Boling Bridge is open, traffic should sail smoothly for years to come. The new Boling Bridge on GA Route 53 is open to traffic. If you have ever had to cancel a yard sale, an outdoor BBQ or had a reunion rained out, you’ll understand the frustration the GA DOT faced when they had to delay the opening of the new Boling Bridge a couple of times. Finally, on the afternoon of Friday, August 3, 2018, the bridge was opened to traffic! The DOT folks have a droll sense of humor, as is evident in the caption of the photo on the left. 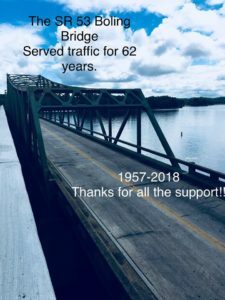 Any bridge that is still standing after 62 years of heavy use has certainly shown motorists support. Years ago, if I remember correctly, this particular span had a metal grating on its surface, not pavement. Probably a great idea for saving money by not having to repave it. Okay for cars too. But … for motorcyclists? What. A. Trip. Our front tires wobbled like they were about to fall off and send us over the edge into the drink. Thankfully, the new bridge is also paved. Thank you, DOT for the new Boling Bridge on Dawsonville Highway, even if work continues. The speed limit is 35 MPH in the work zone and it will be quite some time before the old bridge is removed.